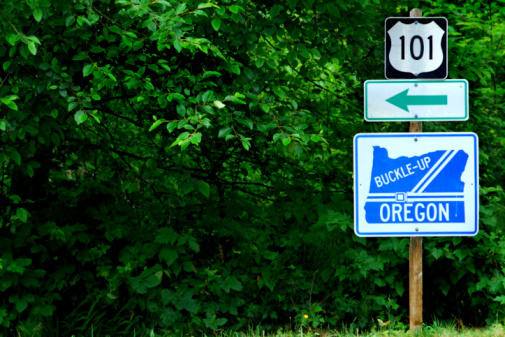 What silly laws exist in Oregon? At MVD Express, we like to keep things light and fun because we know that visiting the MVD can be about as fun as running away from a shark. We know that no one likes doing that. That’s why we bring you these absurd laws from around the country every month. Because, seriously, who doesn’t like a good laugh? You must not test your physical endurance while driving a car on the freeway. Rest assured, you may do this on the city roads. Drivers may not pump their own gas. They may, however, pay for their own gas. A door on a car may not be open longer than necessary. Who decides the length of time that is permissible? You are not allowed to eat a donut while walking backwards on a street. Surely, eating a cupcake must be legal! Honestly, the list of absurd laws in Oregon goes on longer, but there isn’t room to fit them all here! We don’t want you to miss out on other important things, like your dentist appointment…or cleaning your room. Fun! Every month, we feature silly laws from around the country. Although all of these laws are truly remarkable, they all exist for one reason or another. Stay tuned for next month’s installment in the series!